Mard Ko Dard Nahi Hota is a time travelling machine, and so we begin the interview by going right back to when it all began. 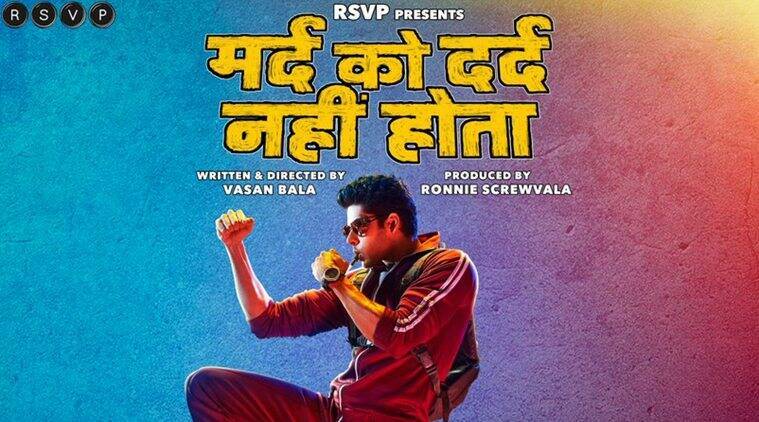 Vasan Bala directorial Mard Ko Dard Nahi Hota released on March 21. “Amitabh Bachchan, man. He has some of the best stunt sequences in the ’70s. Very underrated,” says Vasan Bala, listing his favourite Bollywood action stars and sequences of all time. Then there’s Salman Khan’s fights in Maine Pyaar Kiya and the train scene in Johnny Gaddaar. “Those two really show the struggle of the character,” he says. Bala is serious about action, and why wouldn’t he be? After all, his second feature film as a director, Mard Ko Dard Nahi Hota (MKDNH), a story about a young man suffering from a medical condition that renders him immune to physical pain, boasts of some of the best and most detailed close-combat sequences in Hindi cinema. Featuring Gulshan Devaiah, Abhimanyu Dassani, Radhika Madan and Mahesh Manjrekar, it is a homage to the wuxia films from Hong Kong, the Hindi and Tamil action films that dominated our VHS collections in the ’80s, and even that iconic rain dance scene from Singin’ in the Rain. MKDNH is a time travelling machine, and so we begin the interview by going right back to when it all began. “I grew up in Matunga in the ’80s, and like a lot of us from that generation, I was drawn to martial arts films because those guys weren’t tall or big but could conduct long and engaging fights. Bruce Lee just blew me away; I joined karate classes. We were consumed by the stories about legends like him and Jackie Chan,” says Bala. The ’80s were still reeling under a martial arts wave after Lee’s Fist of Fury (1972) led the way for the genre to go global — both Hollywood and Indian mainstream cinema embraced action films in an unprecedented way. Action remains a big draw at the box office, but in a scene ruled by “dishoom!” culture, was there space for what Bala describes as a “Sai Paranjpye hero who wants to be a martial artist”? “It’s more a coming-of-age story than a coming-of-rage one — there are villains but it’s an intimate vendetta story. In 2015, Bombay Velvet, a film I’d co-written, tanked. But I’d been there before so I just carried on writing and this script took shape. My friends have constantly told me that I write strange things that producers won’t know what to do with,” says Bala, who made his directorial debut with Peddlers (2012), which is yet to see a commercial release. The film was screened as part of the International Critics Week that runs parallel to the Cannes Film Festival. MKDNH too had a festival premiere — the Midnight Madness section of the 2018 Toronto International Film Festival, where it won the People’s Choice Award. As collections pick up in its second week, rave reviews are not only coming in from all over the country, but also Taiwan, Dubai, Australia, and New Zealand where the film has had a theatrical release. While Peddlers was about a group of characters caught in the underbelly of Mumbai’s drug trade, MKDNH is set in the Bombay of Bala’s childhood — replete with the middle-class anxieties that mushroom in housing societies, secret games on the terrace, VHS tapes that would liven up the afternoons, and a long look back at a time when it was easier to be good. If action films have propagated an ideal of hyper-masculinity, Bala has used MKDNH as a way to debunk that kind of machismo. “I’ve tried to put a spin on that culture by creating a hero who is more likely to die of dehydration than a bullet wound. By wanting to be a hero, he’s actually the most vulnerable character in the story. I wanted to contrast that with his love interest (Madan), a woman who is very rooted and is her own protector. The old Kung fu films feature quite a number of women who participate in a fight sequence, either as potential girlfriends, or business women who run teahouses, and they were as good as the men. But if you watch a woman in an action sequence today, there are lots of cuts — it looks good on screen but you can’t spot the skill. I wanted to do better, I wanted to make an authentic action film that showcased every main character,” he says. He did. In addition to Prateek Parmar, the film’s martial arts director and choreographer, Bala brought on board LA-based action director Eric Jacobus and fight coordinator Dennis Ruel, who worked with the cast and the team of stunt performers — who have plenty of screen time. And in what is likely a first in recent memory, Bala made sure to give his stuntmen lines, ranging from menacing to rip-roaringly ridiculous. “What’s an action film without a few cheesy dialogues?” he says, and laughs.